The VBSR Terry Ehrich Award for Lifetime Achievement (formerly the Terry Ehrich Award for Excellence in Socially Responsible Business) honors an outstanding individual in honor of Terry Ehrich, late owner of Hemmings Motor News, founder of the First Day Foundation and a founding Board member of VBSR. The award is given annually to a person exemplifying Terry’s commitment to community, the environment, progressive public policy, and the workplace. The VBSR Innovation and Inspiration Award recognizes VBSR member organizations who have accomplished innovative and/or inspirational achievement in the following areas within the past three years: Planet (Environmental Impact), People (Social Impact) and Prosperity (Economic Impact). Milk Money was launched in July 2015 with a vision to connect “Main St.” as well as accredited Vermont investors with Vermont entrepreneurs to fill a gap in the early stage capital market. Based in Charlotte, the organization is Vermont’s first registered third-party portal for administering investment campaigns using the Vermont Small Business Offering (VSBO) exemption. Founded by two seasoned entrepreneurs, Milk Money’s mission is to put the means for creating new businesses, a strong local economy, and personal wealth within the reach of all Vermonters. SunCommon starts from the belief that everyone has the right to a healthy environment and brighter future – and renewable energy is where it starts: Energy from the sun can power our lives and build vibrant communities. Organized as one of Vermont’s pioneering Benefit Corporations, SunCommon’s mission is to tear down barriers to clean energy and use business as a force for good, with a commitment to the triple-bottom-line of people, planet and profit. Just five years old, SunCommon’s market-solution to climate change is Vermont’s largest provider of residential and community solar, having already doubled the number of solar homes in our beloved state. The VBSR Young Changemaker Award recognizes an individual under age 40 who has led the formation of a socially responsible enterprise that has been in operation three or more years. 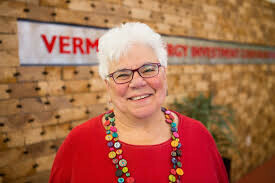 The awardee will be selected based on their ability to use the power of business to advance innovative solutions to society’s challenges for the good of the planet, their employees, their community and economic growth in Vermont. Benjy Adler, Founder/Owner of Skinny Pancake, comes from a family of entrepreneurs. He founded the Skinny Pancake in the summer before he graduated from Middlebury College and has spent the last 14 years methodically building all aspects of the business, including brand development and marketing, research and development of all outlets, building the management team, managing company finances, participating in Skinny Pancake’s local food initiatives and innovations, and all of the other responsibilities that come with the ownership of a growing business. 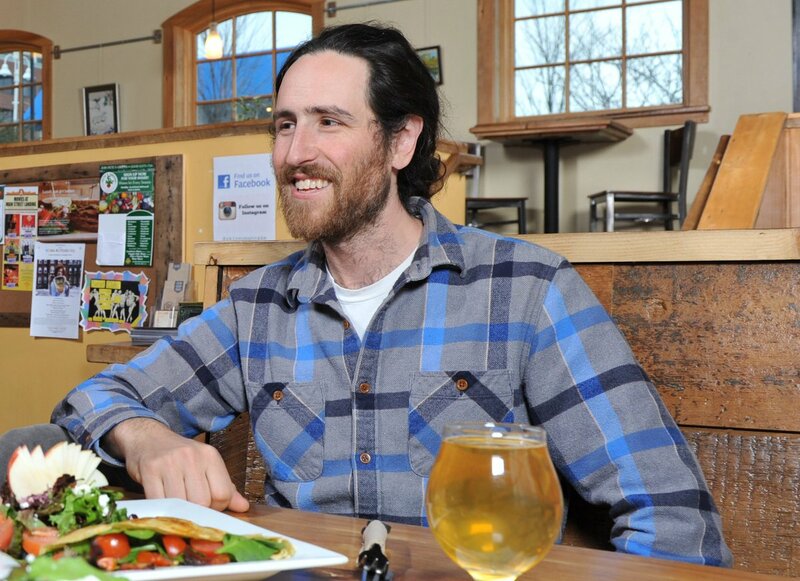 His longstanding commitment to the Localvore moment and local sourcing have made a significant impact in strengthening Vermont’s Food System. The event was held at the Basin Harbor Resort and Boat Club, stewards of the land since 1803. A fifth-generation family-owned business, this lakeside resort on Lake Champlain is an outstanding example of Vermont’s working lands. Thanks to a multigenerational commitment to preservation and sustainability, the 700-acre estate remains as beautiful today as it did over a century ago while employing 300 people each year. A dedication to improving their carbon footprint on a local and global level has earned them the designation of “Green Hotel” by the Vermont Department of Environmental Conservation, and the first golf course in Vermont to become a member of the prestigious Audubon Cooperative Sanctuary Program. Their beautiful location–together with their robust environmental efforts, including composting all food waste; electric, fuel and water efficiency; land conservation; capturing waste heat, generating electricity from an on-site solar array, and sourcing from local farmers and food purveyors–made this a perfect venue for this annual event. Cx Associates is a Burlington-based energy engineering consulting firm. We improve the way buildings work for people and planet through engineering and consulting that bridges design, construction, operation, and policy. The standards at Dinse are anything but standard. 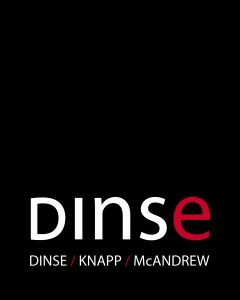 One of the largest law firms in Vermont and upstate New York, clients of Dinse aren’t just clients of individual attorneys; they’re clients of the firm. Dinse applies its experience, drive and intellectual capital on the side of every client relationship. It’s why Dinse is seen as the “go-to” firm to navigate today’s most complex legal problems and why Chambers USA gives Dinse its highest rankings for the strength and reputation of our attorneys. TruexCullins is an integrated Architecture and Interior Design firm providing comprehensive design solutions for regional and international clients. The firm’s expertise is organized across five studios: Residential, Education, Workplace, Resort, and Interiors. Our guiding philosophy is built on the belief that design has the power to transform communities and improve lives. For nearly 50 years, TruexCullins has pursued this vision, offering design solutions that provide value, comfort, and beauty. Our reputation for design excellence is evident across all our building types and locations. With a collaborative approach to design, TruexCullins develops innovative and sustainable design solutions, consistently delivering positive results. At Dunkiel Saunders we’re focused on making a difference with our practice. We work with clients—including businesses, nonprofits, cooperatives, government entities, and individuals—who share our commitment to making a difference in their communities and the broader world. We take our inspiration from our clients’ good work and help them excel in their business or mission by resolving their legal issues with creativity and integrity. How can we help you?